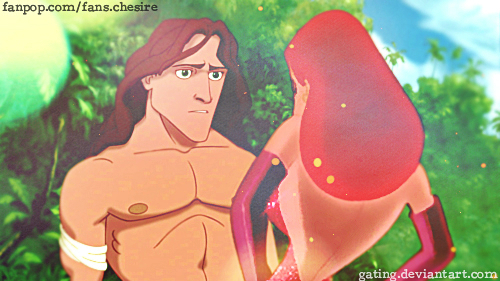 Tarzan/Jessica Rabbit. Suggested kwa a deviantart user.. Wallpaper and background images in the Disney crossover club tagged: disney crossover tarzan jessica rabbit. "Do wewe Believe In Fairytales?" ^Those curves can hypnotize any guy.